Chris and I purchased our first home in November 2014. We had SO many questions for our first huge purchase together and our RBC mortgage specialist helped us every step of the way. Are you thinking of buying your first home? I bet you have a lot of questions too! 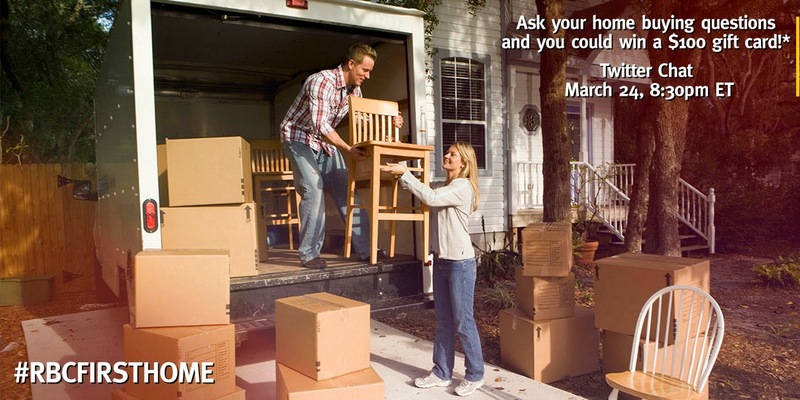 You should join @RBC_Canada for the #RBCFirstHome Twitter Chat on Tuesday, March 24th from 8:30 pm to 9:30 pm ET. Tweet you on March 24th! Disclosure – I am participating in the #RBCFirstHome blogger campaign by Influence Central. The opinions on this blog are my own.